Everyone wants a great looking smile, but most of us aren’t born with perfect teeth. 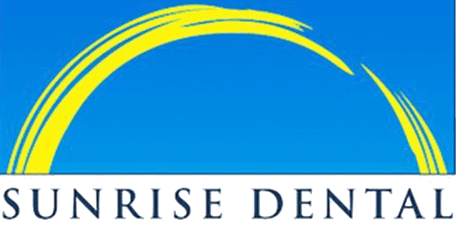 At Sunrise Dental of Renton, patients in and around Renton, WA, can get the beautiful smiles they’ve been dreaming about with cosmetic dentistry treatments customized specifically for their needs and goals. What Kinds of Issues Can Be Treated By a Cosmetic Dentist? Some cosmetic treatments and procedures, like teeth whitening or veneers, provide cosmetic benefits only, while other treatments may also provide a restorative or even a preventive benefit. In some cases, a single cosmetic treatment or procedure is all it takes to help a patient get the beautiful-looking results they’re looking for. But sometimes, multiple procedures are necessary. In that case, the patient can benefit from a smile makeover, a carefully-developed treatment plan that features several treatments performed in a specific sequence and designed to help the patient address multiple issues so they can achieve optimal results based on their own unique objectives. Tooth-colored fillings are fillings made of composite resins that can be tinted to match the color of the surrounding tooth material so they blend in, becoming virtually invisible to anyone but a dentist. Also called white fillings, composite fillings restore damaged teeth without detracting from the patient’s beautiful smile, plus unlike metal amalgam fillings, they contain no mercury and they don’t turn dark over time. They also form a very strong bond with the tooth material to help prevent additional decay. Dental bonding is an alternative to veneers, using special materials bonded to the surface of the teeth to hide cosmetic defects like chips and deep stains. Bonding can be performed in a single visit and does not require removal of tooth material. It’s also less costly compared to veneers. However, the material used in bonding is not as durable as a veneer, which means bonding tends not to last as long, plus the translucent material used in veneers tends to provide a more natural-looking result.